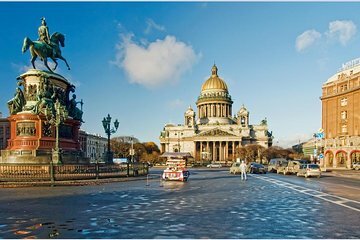 Experience St Petersburg's many sights and attractions from the comfort of a private vehicle. Set out on a sightseeing tour of the 'Venice in the North' with an expert guide who will fill you in on the city's intriguing history along the way. Drive along Nevsky Prospect―St Petersburg's main thoroughfare―and stop at such landmarks as St Isaac's Cathedral, Peter and Paul Fortress, the onion-domed Church on the Spilled Blood and Palace Square, posing for pics and learning their unique stories as you go.